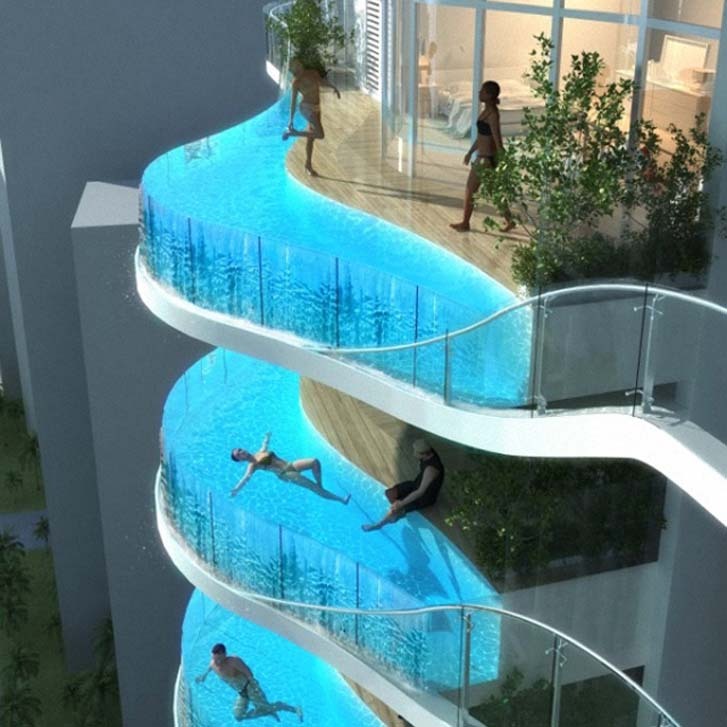 These rooms have their own pool on their balcony. Eeek. What if the glass breaks. 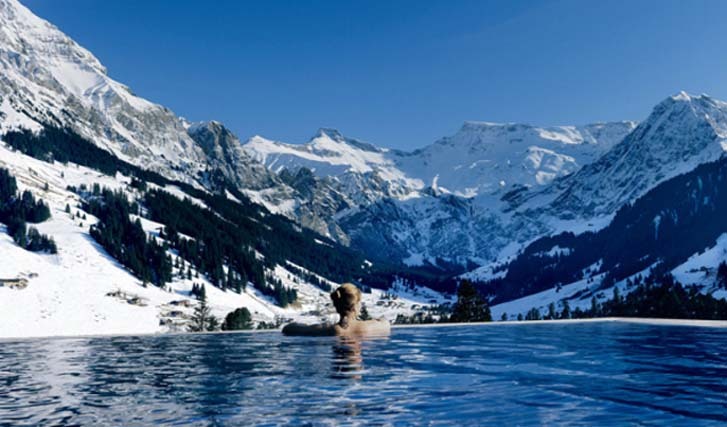 Located in the Swiss Alps, this heated pool keeps you warm while you look out over the snowy mountains. 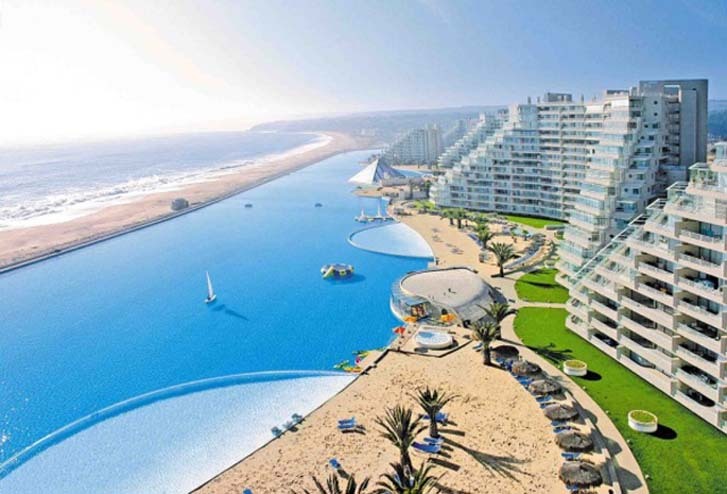 The world's largest swimming pool looks like a beach but it's not. 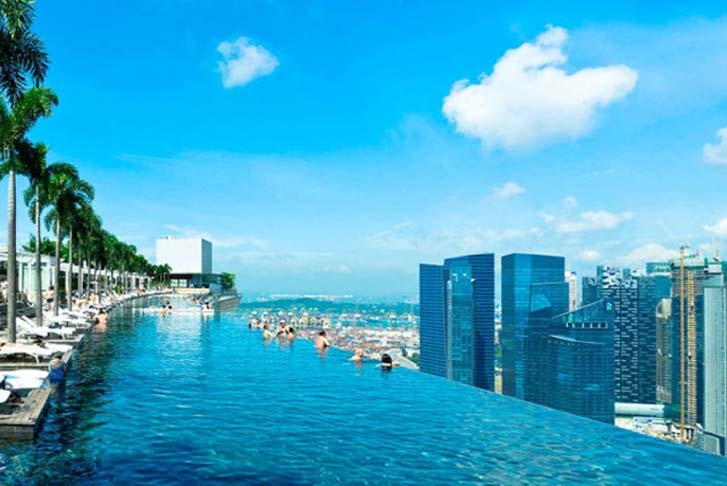 Located in Singapore, this infinity pool is 55 stories up. 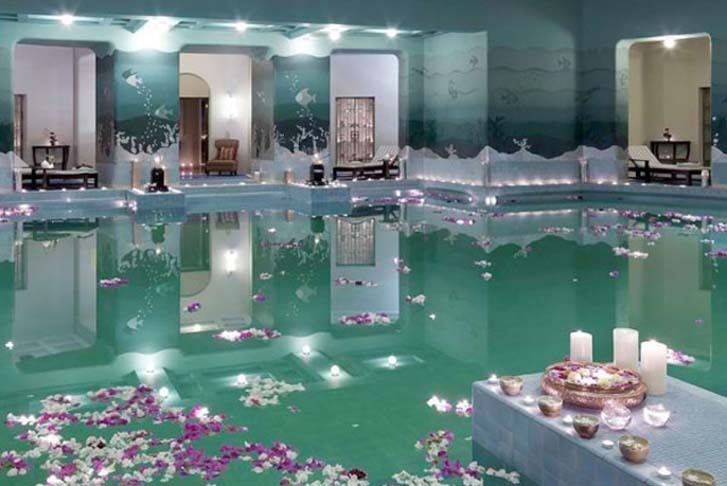 Located in Jodpur India, this indoor pool has the 12 zodiac signs painted on the bottom. 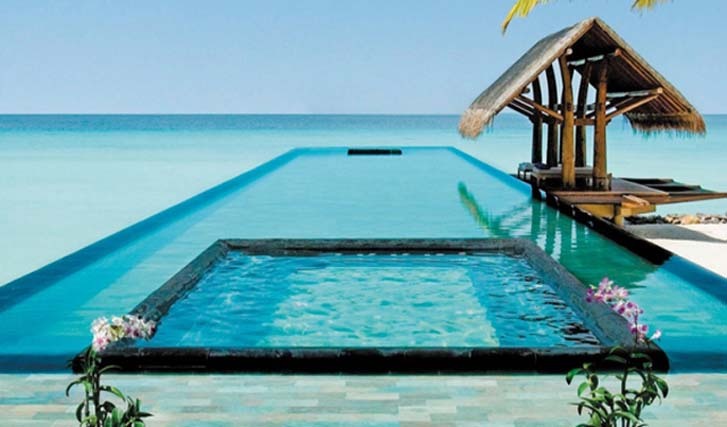 This pool jets out 100 feet into the crystal blue waters of Maldives.